The ultimate tropical drink. A mixture of light and dark rum, as well as a bit of heavy cream and a dash of bitters creates a richer, more interesting taste. We like to use Texas-made Treaty Oak rum, but you can never go wrong with Myers. 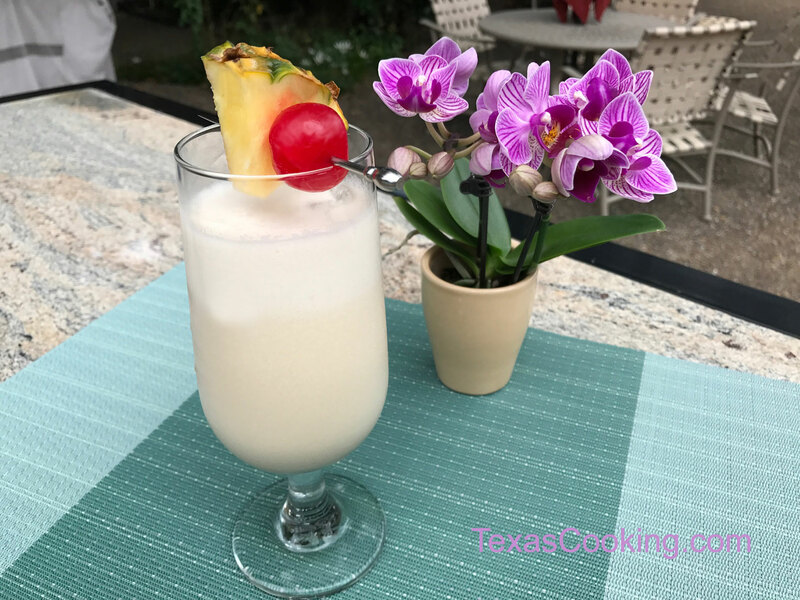 More in our article on making Piña Coladas. Pour the ingredients into a blender, and whir for several seconds until well mixed. Pour into a tall collins glass. Garnish with cherry and pineapple slice. To make a pitcher, just multiply the ingredients by four and proceed accordingly.